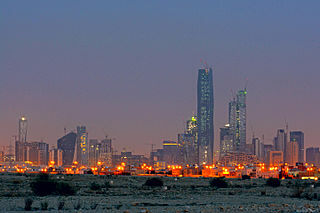 Kuwait is a small, petroleum-based economy. The Kuwaiti dinar is the highest-valued unit of currency in the world. Non-petroleum industries include financial services. According to the World Bank, Kuwait is the fourth richest country in the world per capita. Kuwait is the second richest GCC country per capita (after Qatar). Kuwait has a leading position in the financial industry in the GCC; the abyss that separates Kuwait from its Gulf neighbors in terms of tourism, transport, and other measures of diversification is absent in the financial sector. The Emir has promoted the idea that Kuwait should focus its energies, in terms of economic development, on the financial industry. The historical preeminence of Kuwait (among the Gulf monarchies) in finance dates back to the founding of the National Bank of Kuwait in 1952. The bank was the first local publicly traded corporation in the Gulf. In the late 1970s and early 1980s, an alternative stock market, trading in shares of Gulf companies, emerged in Kuwait, the Souk Al-Manakh. At its peak, its market capitalization was the third highest in the world, behind only the U.S. and Japan, and ahead of the UK and France. Kuwait has a large wealth-management industry that stands out in the region. Kuwaiti investment companies administer more assets than those of any other GCC country, save the much larger Saudi Arabia. The Kuwait Financial Centre, in a rough calculation, estimated that Kuwaiti firms accounted for over one-third of the total assets under management in the GCC. The relative strength of Kuwait in the financial industry extends to its stock market. For many years, the total valuation of all companies listed on the Kuwaiti exchange far exceeded the value of those on any other GCC bourse, except Saudi Arabia. In 2011, financial and banking companies made up more than half of the market capitalization of the Kuwaiti bourse; among all the Gulf states, the market capitalization of Kuwaiti financial-sector firms was, in total, behind only that of Saudi Arabia. Kuwait is a major source of foreign economic assistance to other states through the Kuwait Fund for Arab Economic Development, an autonomous state institution created in 1961 on the pattern of Western and international development agencies. Over the years aid was annually provided to Egypt, Syria, and Jordan, as well as the Palestine Liberation Organization. In 1974, the fund's lending mandate was expanded to include all developing countries in the world. In 1934, the Emir of Kuwait granted an oil concession to the Kuwait Oil Co. (KOC), jointly owned by the Anglo-Persian Oil Company (later British Petroleum Company) and Gulf Oil Corporation In 1976, the Kuwaiti Government nationalized KOC. The following year, Kuwait took over onshore production in the Divided Zone between Kuwait and Saudi Arabia. KOC produces jointly there with Texaco, Inc., which, by its 1984 purchase of Getty Oil Co., acquired the Saudi Arabian onshore concession in the Divided Zone. In the Offshore Divided Zone, the Arabian Oil Co. – 80% owned by Japanese interests and 10% each by the Kuwaiti and Saudi Governments – has produced on behalf of both countries since 1961. The original concession agreements have expired on January 2003; negotiations to replace the concession with a technical service agreement were completed in 2002. The Kuwait Petroleum Corporation (KPC), an integrated international oil company, is the parent company of the government's operations in the petroleum sector, and includes Kuwait Oil Company, which produced oil and gas; Kuwait National Petroleum Co., refining and domestic sales; Petrochemical Industries Co., producing ammonia and urea; Kuwait Foreign Petroleum Exploration Co., with several concessions in developing countries; Kuwait Oil Tanker Co.; and Santa Fe International Corp. The latter, purchased outright in 1982, gives KPC a worldwide presence in the petroleum industry. KPC also has purchased from Gulf Oil Co. refineries and associated service stations in the Benelux nations and Scandinavia, as well as storage facilities and a network of service stations in Italy. In 1987, KPC bought a 19% share in British Petroleum, which was later reduced to 10%. KPC markets its products in Europe under the brand Q8 and is interested in the markets of the United States and Japan. 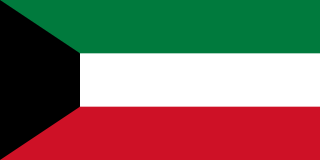 Kuwait has about 94 billion barrels (14.9 km3) of recoverable oil reserves. Estimated capacity, before the war, was about 2.4 million barrels per day (380×10^3 m3/d). During the Iraqi occupation, Kuwait's oil-producing capacity was reduced to practically nothing. However, tremendous recovery and improvements have been made since. Oil production was 1.5 million barrels per day (240×10^3 m3/d) by the end of 1992, and pre-war capacity was restored in 1993. Kuwait's production capacity is estimated to be 2.5 million barrels per day (400×10^3 m3/d). Kuwait plans to increase its capacity to 3.5 million barrels per day (560×10^3 m3/d) by 2005. A proportional representation of Kuwait's exports. The KIA manages two funds: the General Reserve Fund (GRF) and Future Generations Fund (FGF). The GRF is the main treasurer for the government. It receives all state revenues and all national expenditures are paid out of this fund. The KIA does not disclose its financial assets in public, but it is estimated that the KIA has $410 billion in assets as of February 2014. The KIA was the main source of capital for the Kuwaiti government during the Gulf War. The Kuwaiti government relied on the KIA to pay for coalition expenses and postwar reconstruction. The KIA was worth $100 billion prior to 1990, KIA funds were depleted to $40–$50 billion after the Gulf War. The Future Generations Fund (FGF) was created in 1976 by transferring 50% from the general reserve fund at that time. The FGF is a saving funds for future generations. 25% of all state revenues are annually transferred to the fund. All of the FGF is invested abroad, with an estimated 75% invested in the US and Europe and the rest in emerging markets, mainly China and India. To date, Kuwait has registered 384 patents, the second highest figure in the Arab world. Kuwait produces the largest number of patents per capita in the Arab world and OIC. The government has implemented various programs to foster innovation resulting in patent rights. Between 2010 and 2016, Kuwait registered the highest growth in patents in the Arab world. In the past five years, there has been a significant rise in entrepreneurship and small business start-ups in Kuwait. The informal sector is also on the rise, mainly due to the popularity of Instagram businesses. Many Kuwaiti entrepreneurs use the Instagram-based business model. Tourism accounts for 1.5 percent of the GDP. In 2016, the tourism industry generated nearly $500 million in revenue. The annual "Hala Febrayer" festival attracts many tourists from neighboring GCC countries, and includes a variety of events including music concerts, parades, and carnivals. The festival is a month-long commemoration of the liberation of Kuwait, and runs from February 1 to February 28. Liberation Day itself is celebrated on February 26. In 2017, agriculture (including fisheries) accounts for almost 0.4 percent of the gross domestic product and does not offer an important source of employment. Around 4 percent of the economically active population works in agriculture, almost all foreigners. The majority of farm owners are investors. The agricultural sector provides fruit and vegetables for sale in the country's supermarkets. The total agricultural land covered 1 521 sq km in 2014. Agriculture is limited by the lack of water and arable land. The government has experimented in growing food through hydroponics and carefully managed farms. However, most of the soil which was suitable for farming in south central Kuwait was destroyed when Iraqi troops set fire to oil wells in the area and created vast "oil lakes". Fish and shrimp are plentiful in territorial waters, and largescale commercial fishing has been undertaken locally and in the Indian Ocean. Kuwait has an extensive and modern network of highways. Roadways extended 5,749 km (3,572 mi), of which 4,887 km (3,037 mi) is paved. There are more than 2 million passenger cars, and 500,000 commercial taxis, buses, and trucks in use. On major highways the maximum speed is 120 km/h (75 mph). Since there is no railway system in the country, most people travel by automobiles. Kuwait has one of the largest shipping industries in the region. The Kuwait Ports Public Authority manages and operates ports across Kuwait. The country’s principal commercial seaports are Shuwaikh and Shuaiba which handled combined cargo of 753,334 TEU in 2006. Mina Al-Ahmadi, the largest port in the country, handles most of Kuwait's oil exports. Construction of another major port located in Bubiyan island started in 2007. The port is expected to handle 1.3 million TEU when operations start. (PPP) 45.32 Bln. 45.49 Bln. 52.04 Bln. 94.48 Bln.. 112.87 Bln. 187.25 Bln. 207.52 Bln. 225.81 Bln. 235.95 Bln. 220.92 Bln. 218.31 Bln. 247.18 Bln. 271.51 Bln. 276.91 Bln. 283.63 Bln. 283.83 Bln. 293.76 Bln. 291.48 Bln. ^ a b c d e f g h i j k "Kuwait". The World Factbook. Central Intelligence Agency (CIA). 2018. Retrieved 21 April 2018. ^ "World Bank forecast for Kuwait, June 2018 (p. 152)" (PDF). World Bank. Retrieved 11 September 2018. ^ "Ease of Doing Business in Kuwait". Doingbusiness.org. Retrieved 24 November 2017. ^ "Import Partners of Kuwait". CIA World Factbook. 2015. Retrieved 8 August 2016. ^ "Import Partners of Kuwait". CEIC Data. 2018. Retrieved 21 April 2018. ^ a b "Kuwait". The World Factbook. Central Intelligence Agency. 10 April 2015. ^ "10 Most Valuable Currencies in the World". Silicon India. 21 March 2012. ^ a b "GDP per capita, PPP (current international $)", World Development Indicators database, World Bank. Database updated on 14 April 2015. ^ a b c d e f g h i j k l m "The Wages of Oil: Parliaments and Economic Development in Kuwait and the UAE". Michael Herb. ^ "Kuwait Investment Authority Profile Page". Sovereign Wealth Fund Institute. Retrieved 12 March 2016. ^ a b c "Fund Profile: Kuwait Investment Authority (KIA)" (PDF). pp. 1–3. ^ "The Vital Role of Sovereign Wealth Funds in the GCC's Future". ^ "Kuwait's Future Generations Fund" (PDF). p. 2. 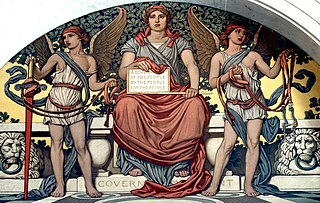 ^ "Patents By Country, State, and Year – All Patent Types". United States Patent and Trademark Office. Retrieved 12 March 2016. ^ "Arab World to have more than 197 million Internet users by 2017, according to Arab Knowledge Economy Report". 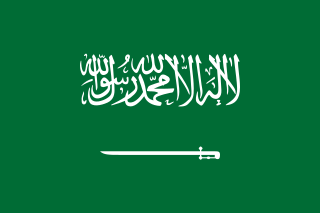 To date, the United States Patent and Trademark Office (USPTO) have granted 858 patents to the Kingdom of Saudi Arabia, positioning it 29th in the world. Kuwait is at second place with 272 patents and Egypt at third with 212 patents, so far. ^ a b "Arab Economy Knowledge Report 2014" (PDF). pp. 20–22. ^ "UNESCO Science Report 2005" (PDF). p. 162. ^ "Regional Profile of the Information Society in Western Asia" (PDF). p. 53. ^ "Arab states" (PDF). pp. 264–265. ^ "Science and Technology in the OIC Member Countries" (PDF). p. 7. 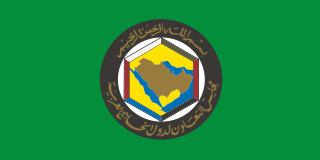 ^ a b "Kuwait Sees Fastest Growth of GCC Countries in Obtaining U.S. Patents". Yahoo News. Retrieved 12 March 2016. ^ Etheridge, Jamie (27 February 2014). "What's behind the growth of Kuwait's informal economy". Kuwait Times. ^ Kuo, Lily; Foxman, Simone (16 July 2013). "A rising class of Instagram entrepreneurs in Kuwait is selling comics, makeup and sheep". Quartz. ^ "Travel & Tourism Economic Impact 2015" (PDF). World Travel & Tourism Council. ^ "Kuwait's investments in travel and tourism sector to grow by 4.3% per annum". BQ Magazine. ^ "Kuwait tenth in total Arab countries' tourism revenue". ^ a b "Hala February kicks off with a bang". Kuwait Times. ^ "Hala Febrayer 2016 Carnival attracts thousands of participants". Al Bawaba. ^ "Ooredoo Sponsors Kuwait's Biggest Annual Festival". ^ "Employment in agriculture (% of total employment) (modeled ILO estimate) | Data". data.worldbank.org. Retrieved 24 April 2018. ^ a b "general profile". Food and Agriculture Organization of the United Nations. Retrieved 22 April 2018. ^ "Public Transport Services". Kuwait Public Transportation Company. Retrieved 17 March 2015. ^ "Public Transport Services". KGL. Archived from the original on 2 February 2011. ^ "First flight for Kuwait's Jazeera Airways". The Seattle Times. 31 October 2005. ^ John Pike. "Mina Al Ahmadi, Kuwait". Globalsecurity.org. Retrieved 28 June 2015. Kuwait Petroleum Corporation is Kuwait's national oil company, headquartered in Kuwait City. The activities of Kuwait Petroleum Corporation (KPC) are focused on petroleum exploration, production, petrochemicals, refining, marketing, and transportation. KPC produces about 7% of the world's total crude oil. KPC plans are to achieve crude oil production capacities in Kuwait of 3.0 million barrels per day by 2010, 3.5 million barrels per day by 2015 and 4.0 million barrels per day by 2020. Its revenue was US$251.94 billion in 2014. A sovereign wealth fund (SWF) or sovereign investment fund is a state-owned investment fund that invests in real and financial assets such as stocks, bonds, real estate, precious metals, or in alternative investments such as private equity fund or hedge funds. Sovereign wealth funds invest globally. Most SWFs are funded by revenues from commodity exports or from foreign-exchange reserves held by the central bank. By historic convention, the United States' Social Security Trust Fund, with US$2.8 trillion of assets in 2014, and similar vehicles like Japan Post Bank's JP¥200 trillion of holdings, are not considered sovereign wealth funds. The Arab League is rich in resources, with enormous oil and natural gas reserves. 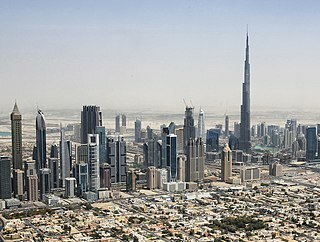 The region's instability has not affected its tourism industry, which is considered the fastest growing sector in the region, with Egypt, the United Arab Emirates, Lebanon, Saudi Arabia and Jordan leading the way. Another industry that is growing steadily in the Arab League is telecommunications. Within less than a decade, local companies such as Orascom and Etisalat have managed to successfully compete internationally as global power players. Gulf International Bank (GIB) was established in 1976 during the first oil boom and is incorporated in the Kingdom of Bahrain as a conventional wholesale bank. It is licensed by the Central Bank of Bahrain and is headquartered in Manama in Bahrain. Salam Investment Ltd., was a brokerage and commodity trading company. It was founded in the City of Munich, Germany and is a firm which operates in Europe as well as in Saudi Arabia, United Arab Emirates, Qatar, Bahrain, Kuwait and Oman. The Company was headquartered in Mahé, the largest island of the Seychelles.